Life can really be like what you make of it. Societal norms often expect those of us growing up to get married and bear children. 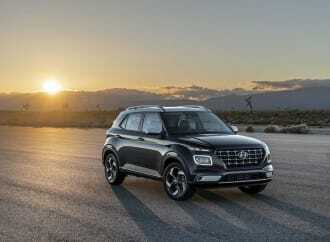 Nowadays, when it comes to the family vehicle, the crossover utility vehicle (CUV) really is the king of transportation. 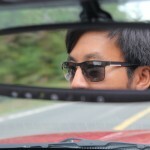 Minivans are considered uncool (though we beg to differ! ), and sometimes, the act of compromising is to pick up a crossover. In the past, a performance-biased crossover seemed like an oxymoron. Now, there are more than a few choices, all of which combine big horsepower, and more road-going performance. 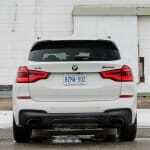 BMW has been a long-time proponent of performance in everything they build, and their popular X3 is no exception. 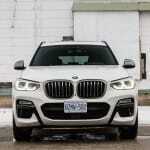 Now in its third-generation, BMW has now opted to attach the letter “M” to its family friendly CUV. 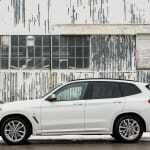 They sent us an Alpine White 2018 BMW X3 M40i xDrive for a winter test. To some, one of the drawbacks of the crossover craze is that they all look like cookie-cutter designs. To others, the low-key look and the ability to blend in is a positive attribute. The X3 M40i exists as a high-performance variant of the X3, and the big question is whether it is worthy of the “M” badge. 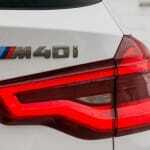 Critics may see it as yet another example of BMW diluting the M brand, and they’re not entirely incorrect. 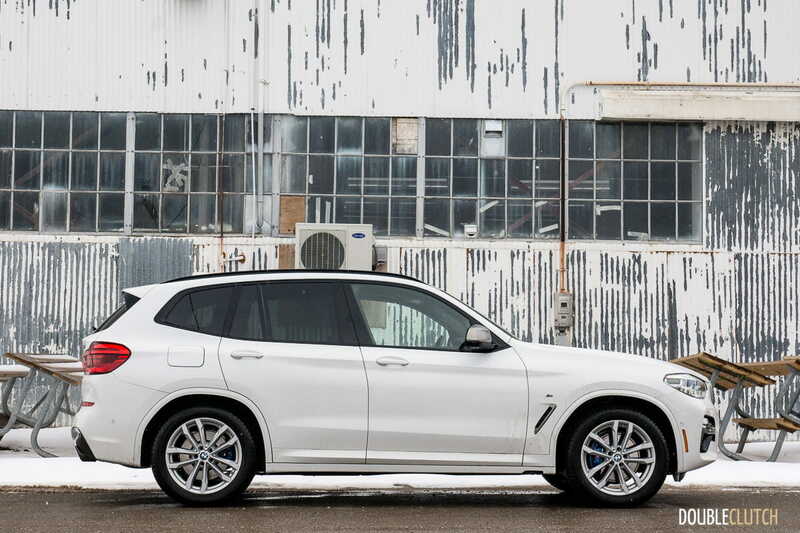 The “Ultimate Driving Machine” slogan has evolved so much over the past decade, and it’s interesting to see how such large vehicles defy physics in a way that only BMW does best. 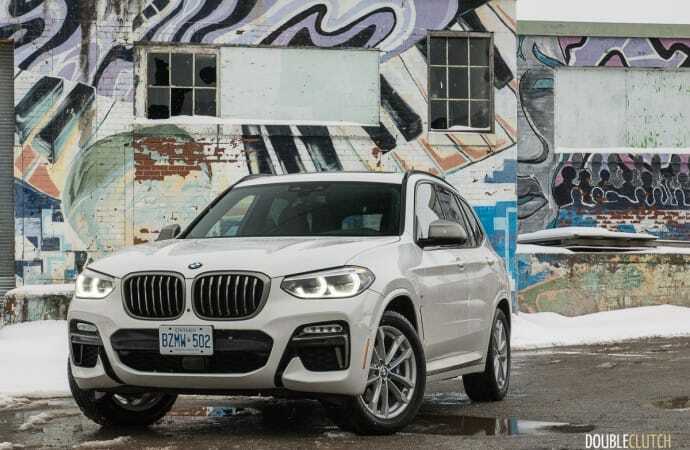 Based on the colour palette and wheel options available to you, the X3 M40i can either fly under the radar (like this particular tester), or stand out a little bit more. 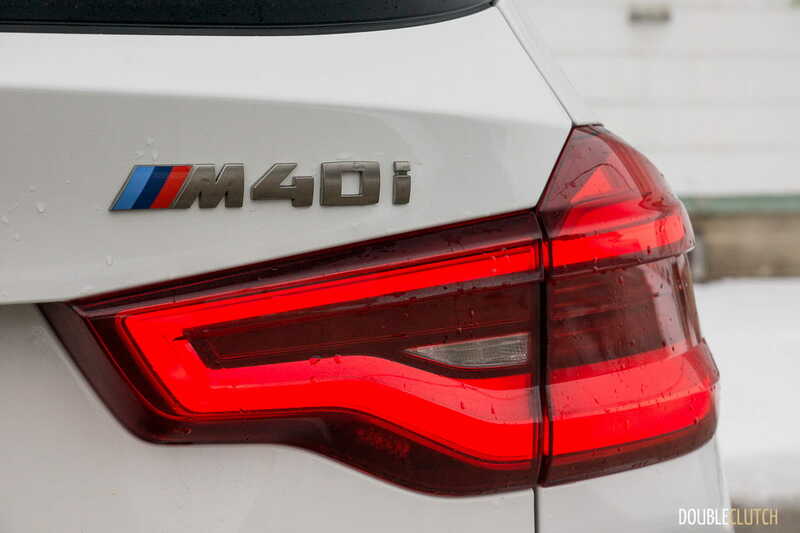 To that end, the Alpine White colour this X3 M40i is painted in is very low-key – it’s the only non-metallic paint option. 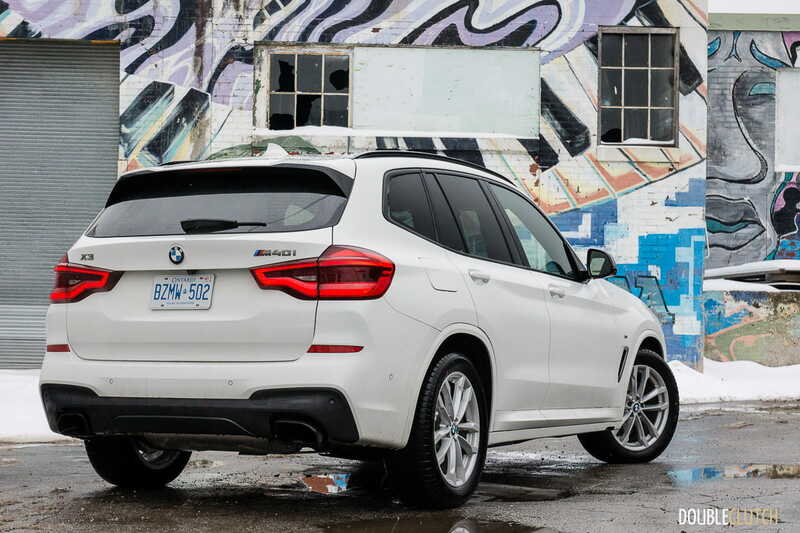 BMW Canada also has a knack for outfitting their test vehicles with a non-standard wheel for the winter seasons (also known as winter mode), so this one has a set of 19-inch wheels (Style 698M) that are optional equipment if you’d like the extra sidewall. 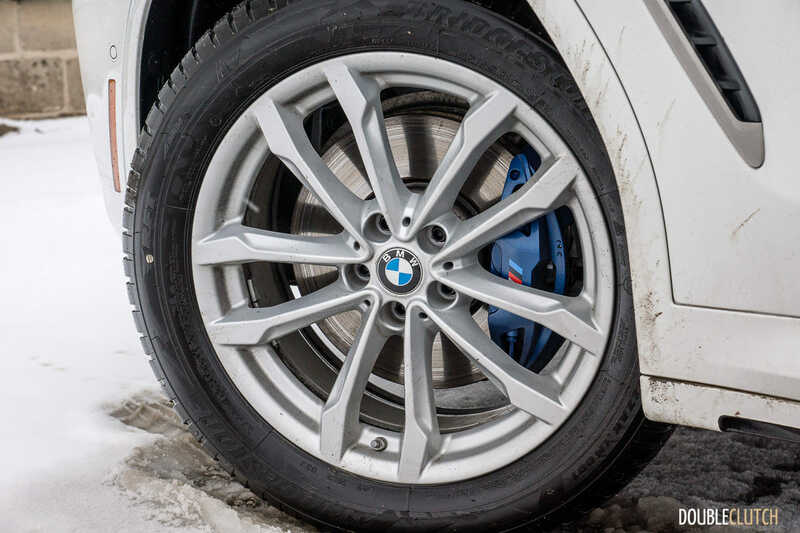 By default, BMW offers a much more interesting set of wheels for the M40i, some with diameters of up to 21-inches! If it were up to me, I would opt for Phytonic Blue Metallic, and the standard set of 21-inch Style 718M wheels – ride be damned. More on this item, later. 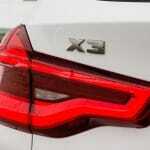 The third-generation X3 doesn’t look drastically different from the preceding X3. 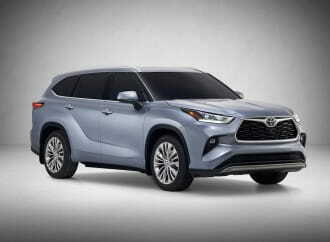 While the two-box shape largely remains intact, a more streamlined front-end features large LED headlights, and a titanium-look grille surround. 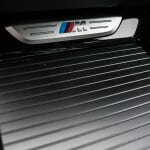 Speaking of that grille – it’s called BMW’s Active Kidney Grille, and features shutters that can close when maximum cooling isn’t needed. 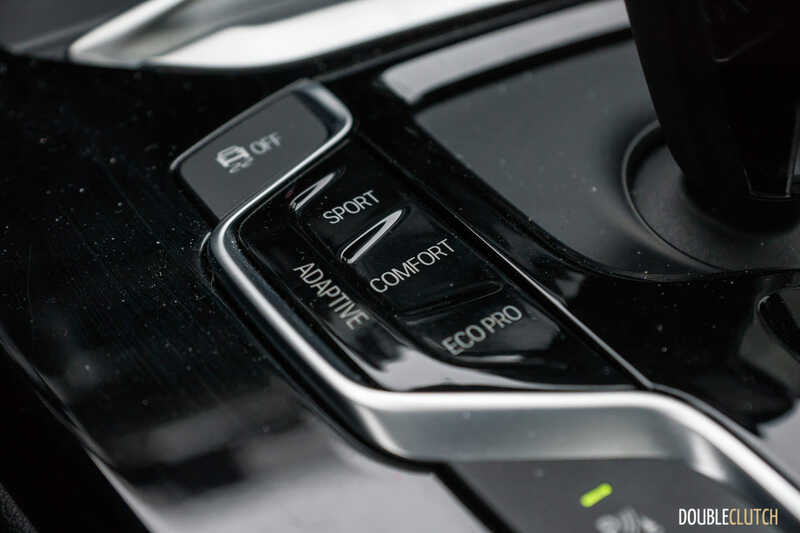 It also improves aerodynamics, and should allow for quicker cold-start warm up, which also decreases emissions output at the start of your drive. 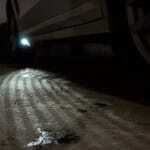 The grille openings below the LED driving lights are functional, as well. 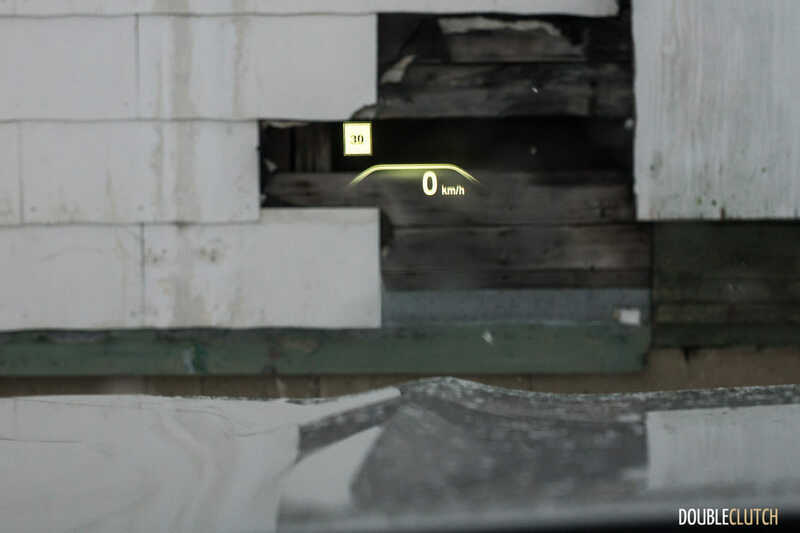 Aside from the various M badges splattered all around the interior and exterior, you’d be hard pressed to point out that this is the go-fast version from a distance. 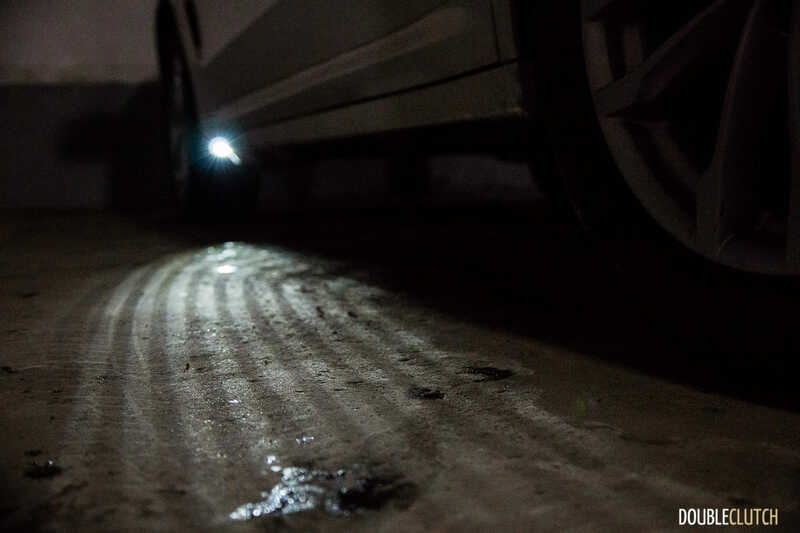 What’s interesting: the multi-textured LED puddle lights don’t actually come from the wing mirrors. 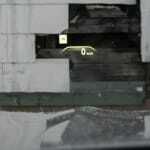 Instead, they are placed in the lower rocker panel and project light out onto the ground. 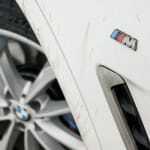 BMW seems to have neglected the fact that this location can be completely covered in snow and slush during the winter. 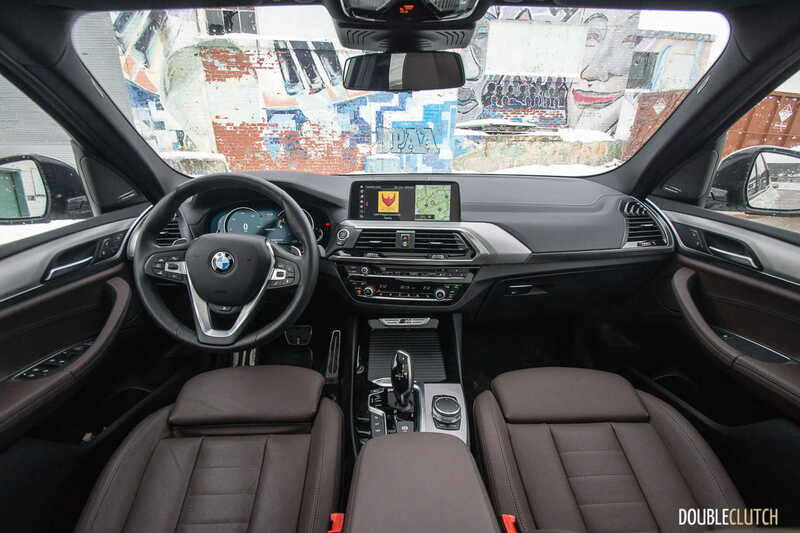 Inside, the X3 features an updated interior that is still relatively spartan in typical BMW fashion. 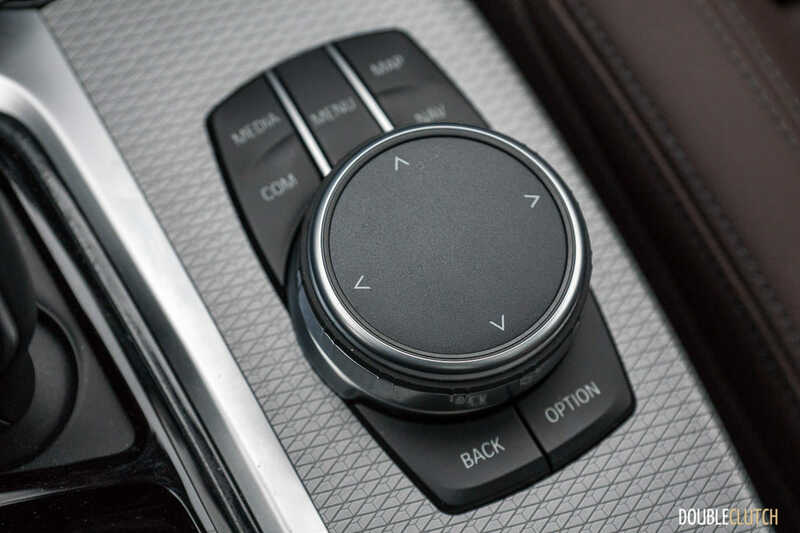 I personally don’t mind the simple interior, but it’s easy to see where brands such as Mercedes-Benz and Audi take their interior design to the next level. 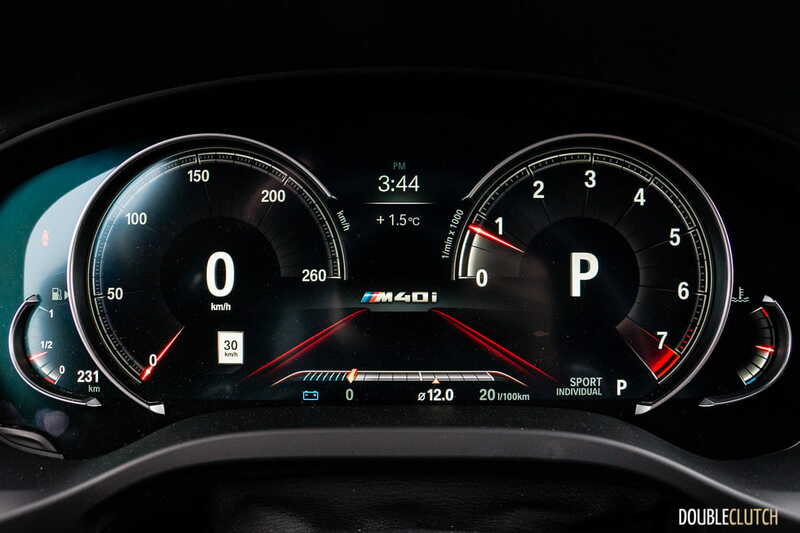 In front of the driver, an all-digital instrument cluster (with silver rings) is not only snazzy, but configurable depending on the drive mode selected. 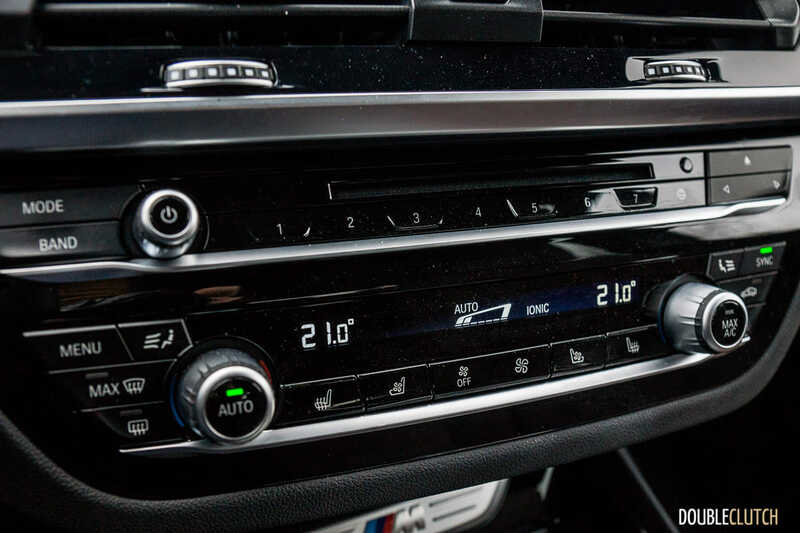 The infotainment interface now supports Apple CarPlay (but not Android Auto), and it also supports BMW’s new gesture controls, which allows occupants to control things like volume level by twirling their hands and fingers in the air in specific ways. 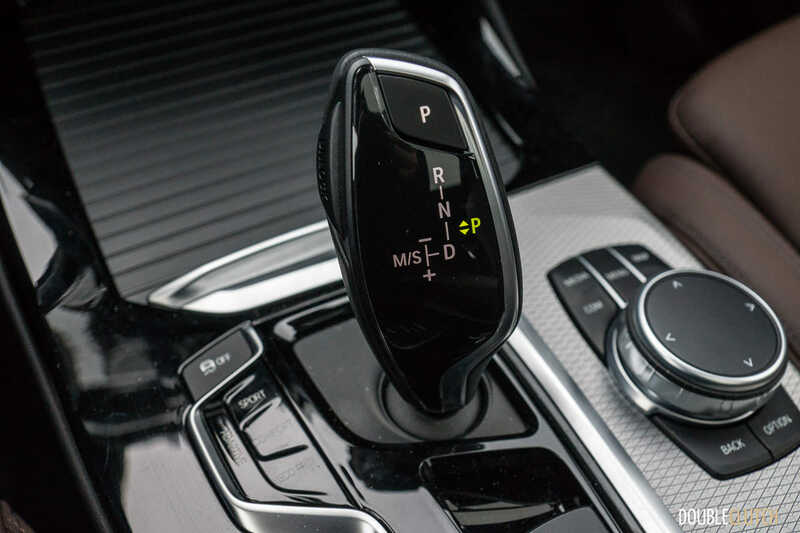 I found this function relatively imprecise, even after a full week – it was quicker and more accurate to utilize the physical volume knob or steering wheel controls. 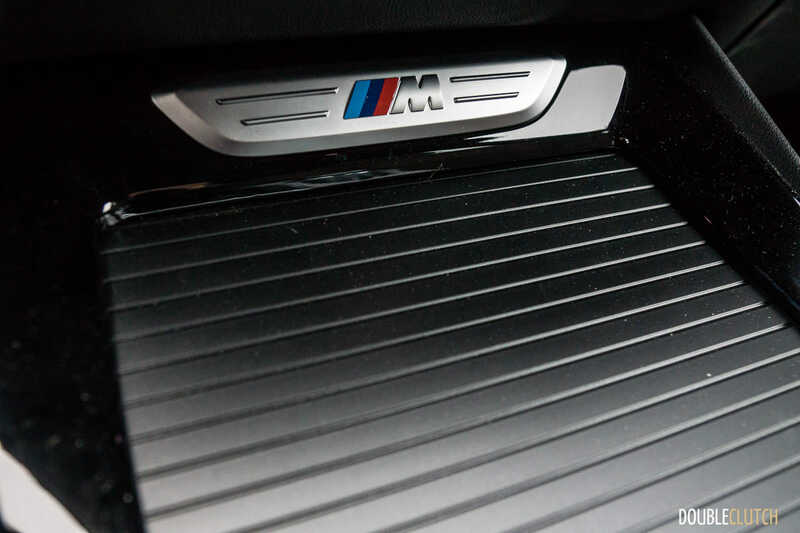 Looking around the rest of the car, I forgot to get an exact count of all the different M badges, but you can find them on the cupholder covers, door sill plates, on the front fenders, under the hood, and the list goes on. 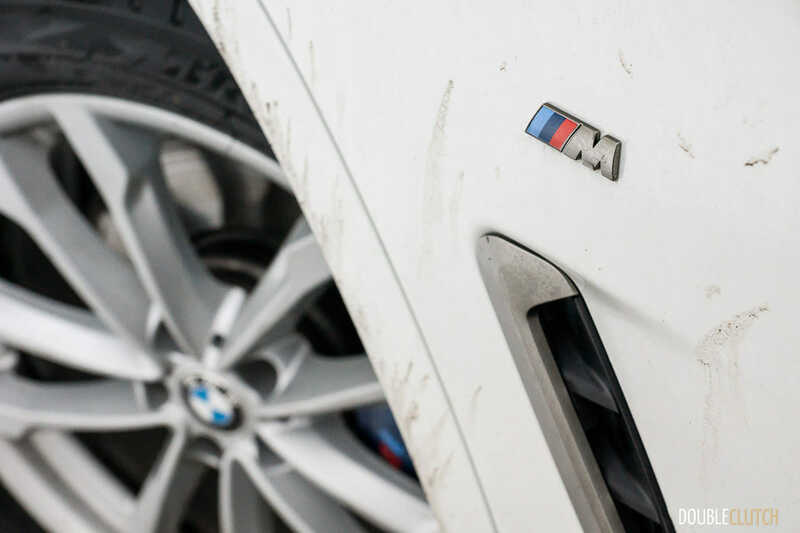 For what it’s worth, a friend’s previous-generation E92 M3 has fewer M logos. 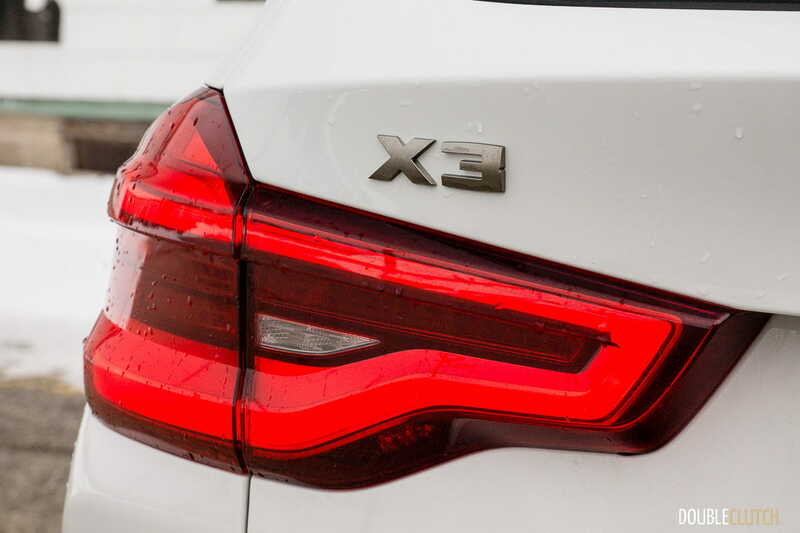 What makes this particular X3 special is denoted by the titanium-coloured M40i logo on the rear tailgate. 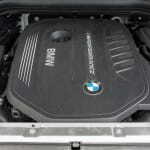 As it has been for some time, this doesn’t mean there’s a 4.0L engine under the hood, but rather a new 3.0L inline-six gasoline engine. 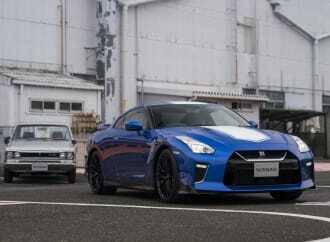 Codenamed B58, it still utilizes a single twin-scroll turbocharger, direct injection, variable valve timing & lift, but it gains significant details such as a sturdy closed-deck block, and a water-to-air intercooler, which helps reduce turbo lag. This new architecture is good for 355 horsepower at 5500-6500RPM, and 369 lb-ft. of torque from 1520-4800RPM. 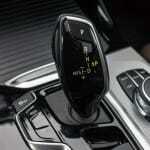 Power is sent to all four wheels through a ZF eight-speed automatic transmission. 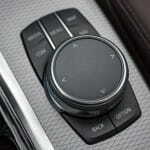 From the driver’s seat, the highlight of my week is the sweet inline-six engine. Its natural, vibration-free balance, coupled with its generous torque output, as well as the music and drama provided by the M-Performance exhaust. 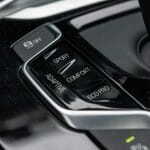 If you activate one of the Sport drive modes, two things happen: an electronic flap opens in the exhaust, allowing for free exhaust flow (read: more noise), and the stereo will play more synthesized engine sounds. 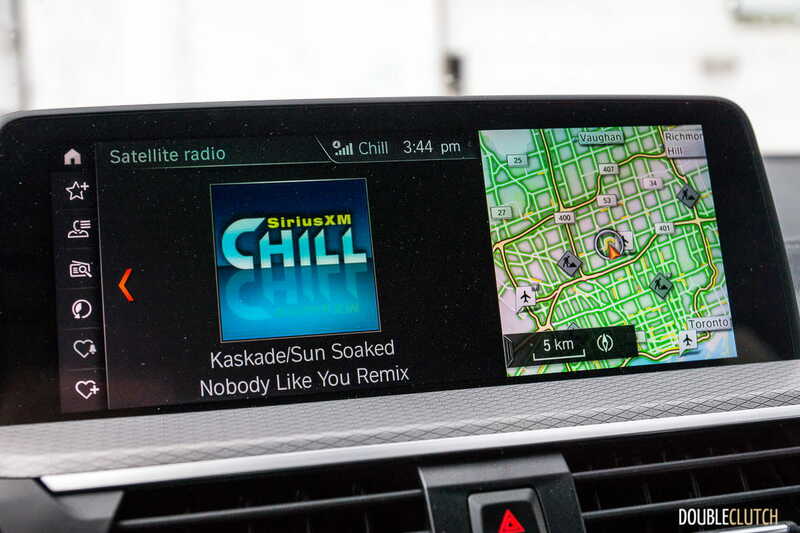 Come to your own conclusions as you may, but it’s unlikely that BMW’s digitally-enhanced mechanical music will be going away, anytime soon. 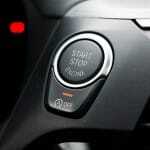 If you press and release the Traction Control button, you enter a different Sport mode, which allows for some more wheel slip before the onboard computers reign you back in. 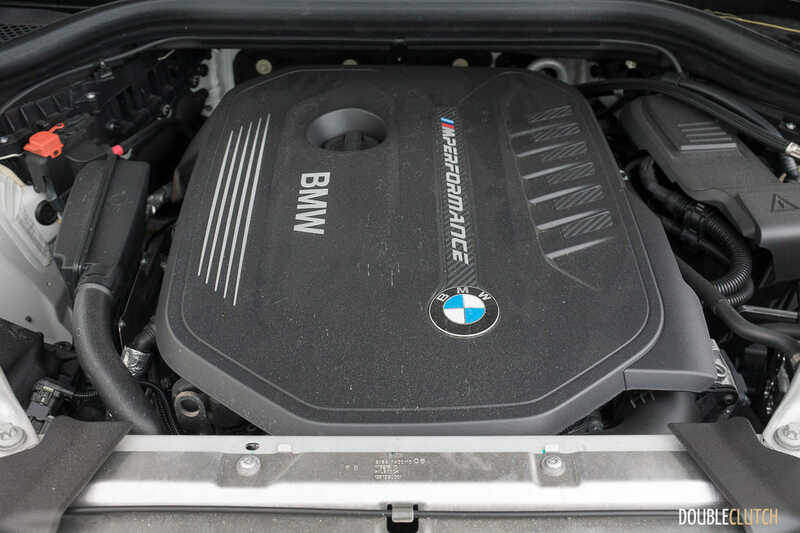 The rear-drive bias of the powertrain makes itself evident, but BMW doesn’t officially publish whether the front-rear split is a fixed or variable ratio. 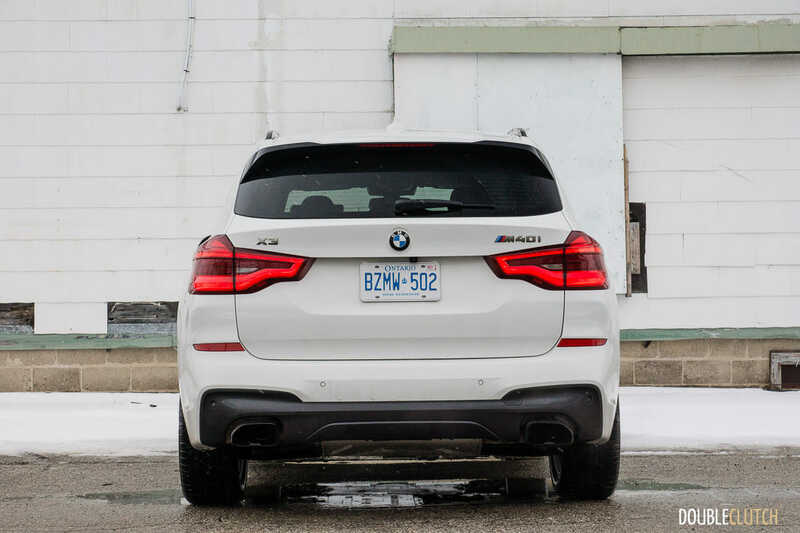 Though the pops and bangs coming from the exhaust are interesting, it’s important to remember that the X3 M40i isn’t really a sports car, in the traditional sense. All that weight, pus the high centre of gravity means it really isn’t the ideal track-day toy. 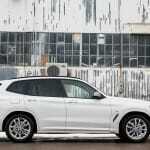 Regardless, BMW has opted to calibrate the suspension of the X3 M40i towards the firm side of comfortable. I feel that if you opted for the larger 21″ wheels, the ride would be a little too firm for most. 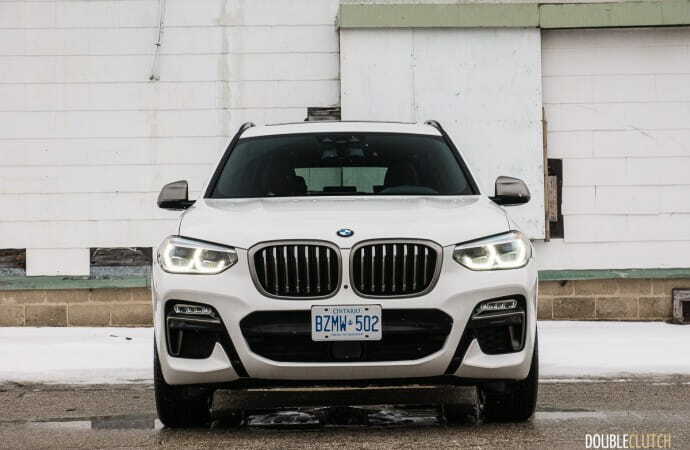 BMW doesn’t have published fuel consumption estimates as of this writing, but Natural Resources Canada estimates that the BMW X3 M40i should get 11.7L/100km in the city, 10.3L/200km in the highway, and about 10.3L/100km in a combined cycle. Thanks to the cold weather (and winter tire fitment), I ended the week with an indicated average of 11.9L/100km. 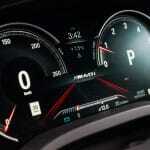 The fuel tank will hold 65L of premium 91 octane fuel, which is required. 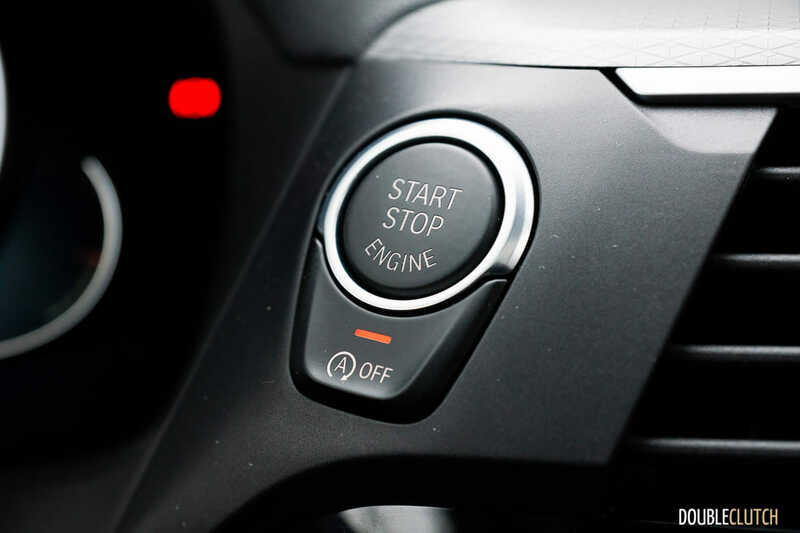 There’s an idle start-stop function which gives the driver surprising flexibility – if you turn it off, it’ll stay off, for the most part. The BMW X3 M40i starts at $61,500, but this particular tester immediately reaches for the $12,500 “Ultimate Package”, which includes just about every option available. 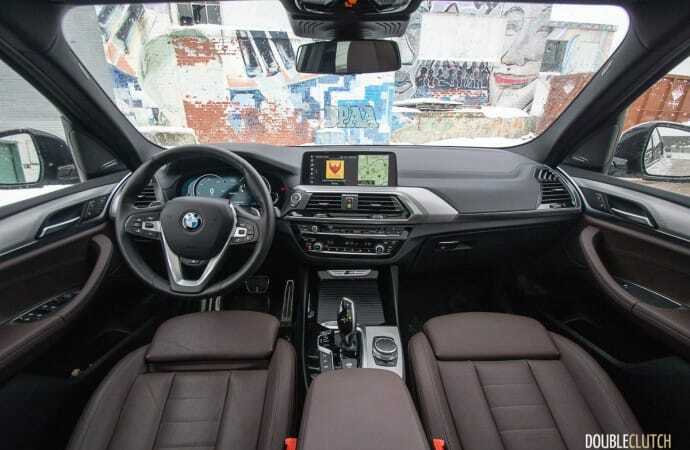 This includes things like the panorama sunroof, rear side sunshades, wireless phone charging, heads-up display for the driver, improved Harman/Kardon audio, heated and ventilated seats, BMW’s active safety suite, Apple CarPlay, gesture control and more leather on the dashboard. 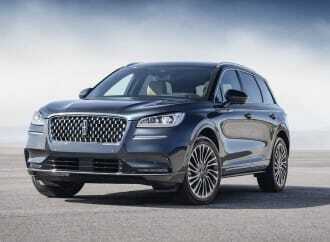 This bumps the as-tested price to $74,000, as tested. 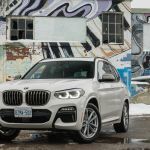 Thanks to the explosion of performance-biased crossovers, the practical petrolhead has a lot to choose from, with most choices coming from European manufacturers. Mercedes-AMG has their GLC 43, Porsche has their Macan S, Jaguar has their F-Pace S, and even Volvo with their XC60 R-Design (reviewed here). All of them play in the $70,000-$85,000 range, which isn’t an insignificant number. 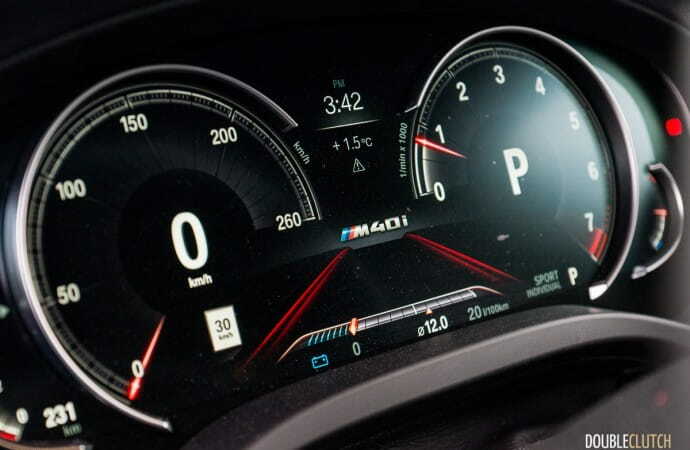 On the flip side, what’s significant are the horsepower numbers – all of them boast figures of around 350hp, with all-wheel drive as standard. 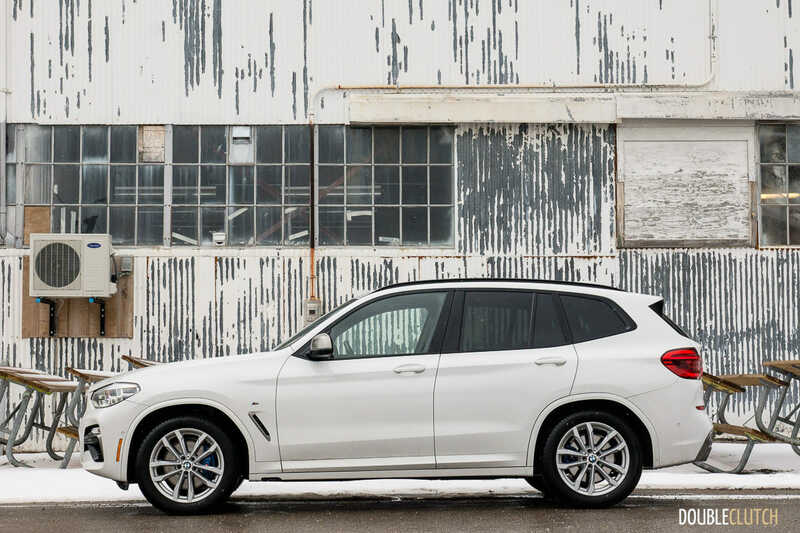 Where the BMW X3 M40i excels is with its powertrain – I’m a sucker for straight-six engines, and short of the huge hybrid electric power of the Volvo, there’s nothing that is quite as sweet. 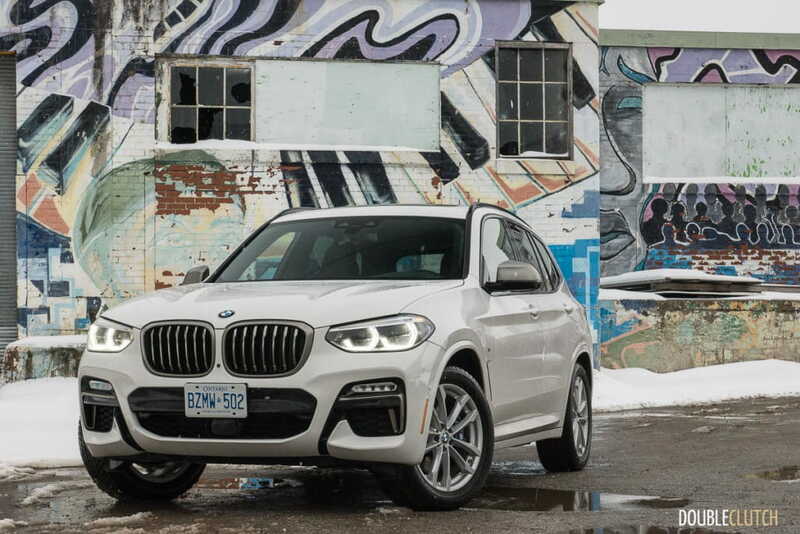 The 2018 BMW X3 M40i xDrive manages to make the most out of what should be an oxymoron. 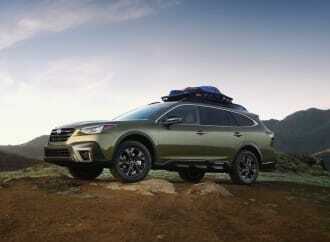 The crossover utility vehicle has essentially taken over for the minivan, and back when those were still popular, nobody really cared about stuffing big power under the hood. Nobody cared about the minivan’s track-day credentials, but here we are, with European manufacturers clamoring to appeal to the driving enthusiast with their fast family vehicles. 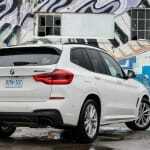 BMW does a good job with their X3 M40i, with its powertrain standing out the most, in my books. 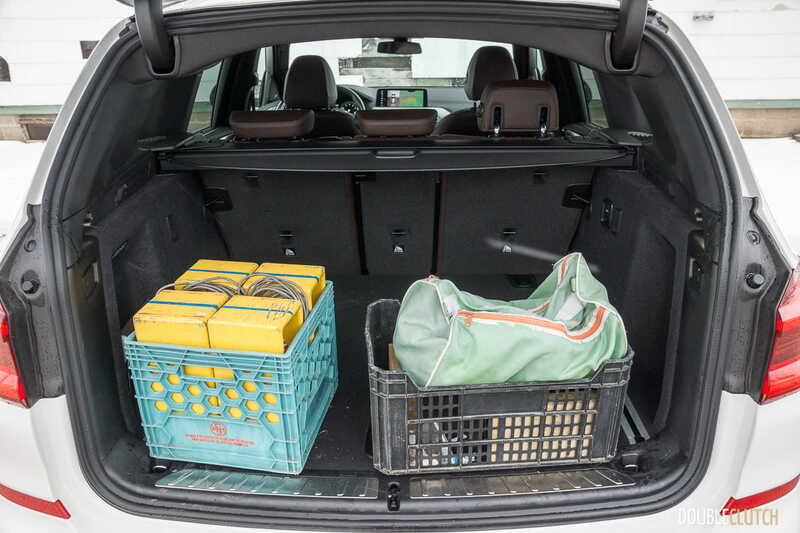 The question that comes to mind is whether the everyday family vehicle can also double as something that is fun to drive. The answer will depend on your own preferences, but from a consumer’s point of view, all this selection can’t be a bad thing.